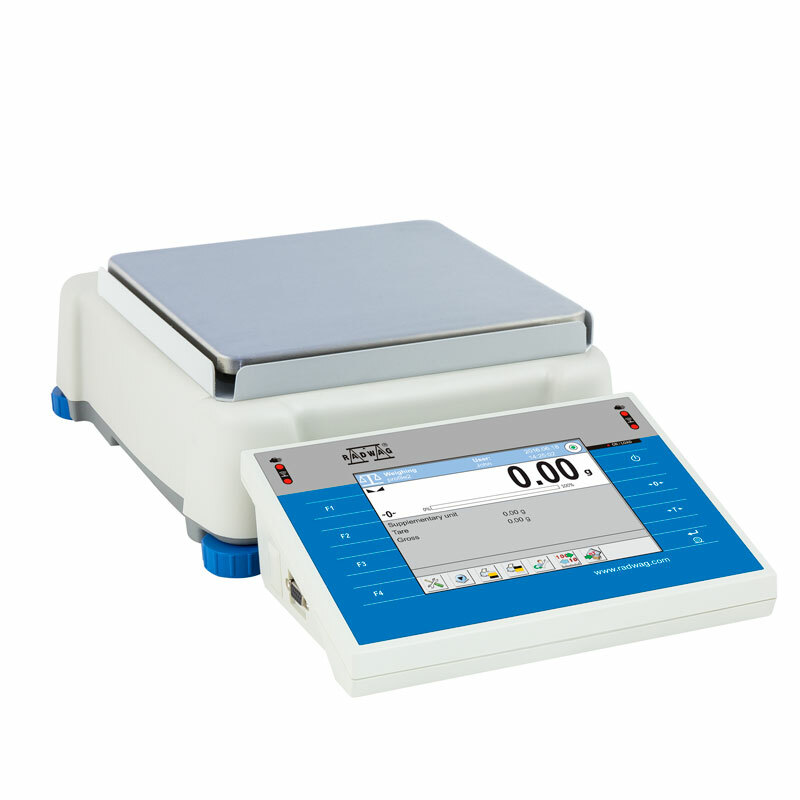 Balances PS 3Y series are laboratory weighing instruments featuring 5,7" LCD colour touch panel which provides new possibilities of balance operation and presenting measurement results. Personalization of balance settings is carried out in extended user profiles. 3Y series comes standard with system of automatic internal adjustment.Level control is based on LevelSENSING system, RADWAG patented solution, which uses a system of an electronic level.New function of PS 3Yseries is online monitoring of ambient conditions through built-in sensors or an external ambient conditions module THB 3 series. 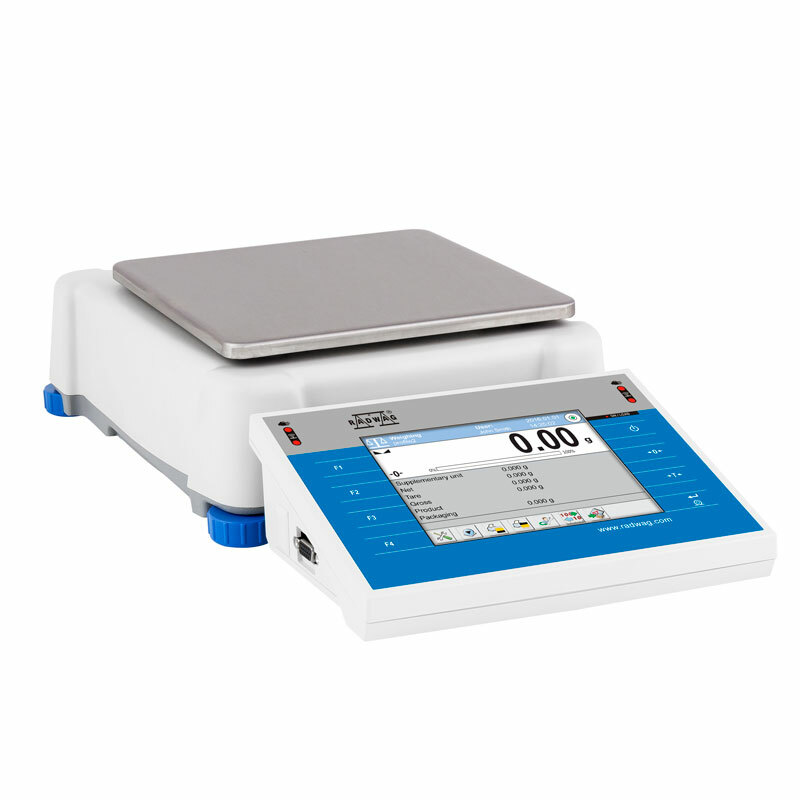 PS 3Yseries offers two models of weighing pans which enable weighing with different accuracy. 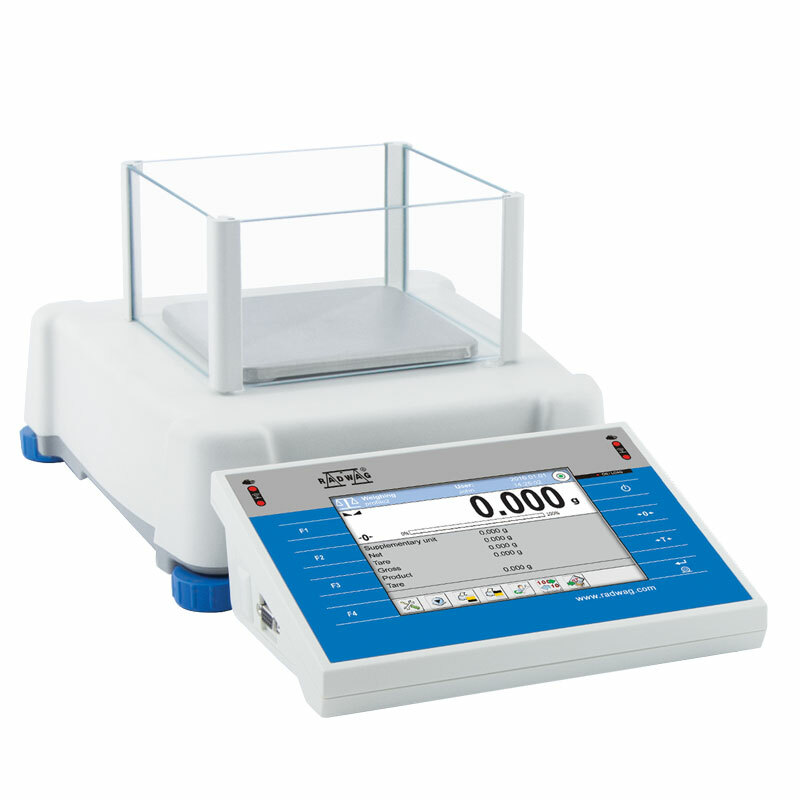 New working mode of the PS 3Yseries: differential weighing, allows the balance to control mass of the same sample subjected to differed processes over time. Extended databases enable storing all carried out measurements, with option of printing and exporting them. Standard and user defined printouts allow for maintaining documentation complying with GLP/GMPrequirements practically in any application. PS 3Yseries features an independent mass control mode carried out with application of an automatic feeder PA-02/H. 3Y series balances are equipped with 802.11b/g/n Wireless module communication interface operating with frequency range 2.4÷ 2.472 GHz (1÷13 channels). Communication is established likewise as for any other interfaces, e.g. : RS 232,Ethernet. 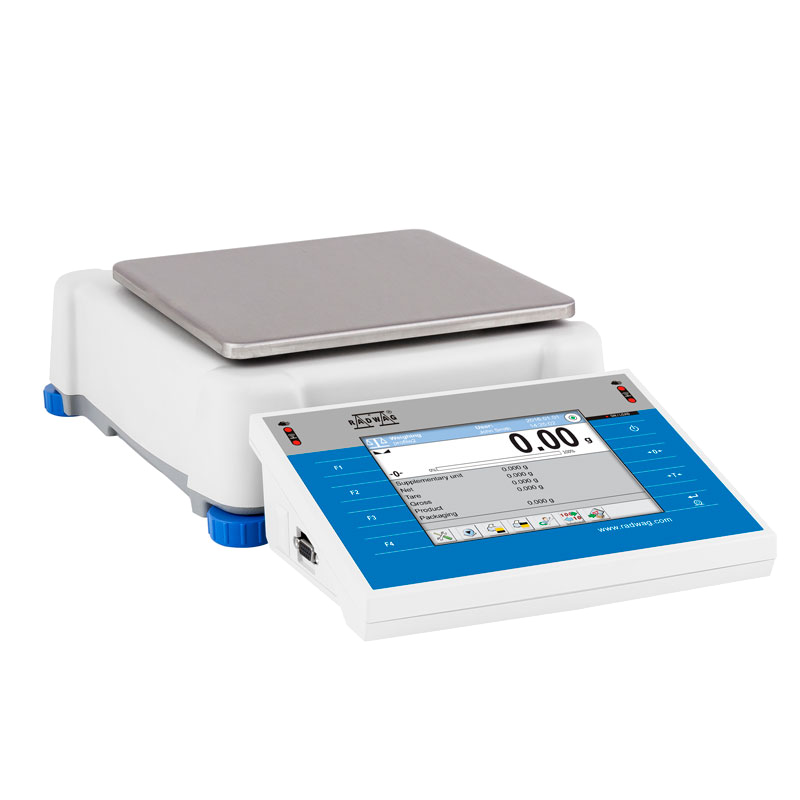 The new PS.3Y high capacity balances (6100, 8100 and 10100) feature centrally fixed weighing pan and additional sealing ring. This solution improves air-tightness and simplifies cleaning. To advance accuracy, the new balances have been equipped with metal anti-draft shield. Additional assets are both expanded capacity (even up to 10.1 kg) and smaller dispersion of weighings — better repeatability.